Legendary athlete Milkha Singh expressed delight at the Home Ministry recommending the late Major Dhyan Chand for the Bharat Ratna, the country's highest civilian award. 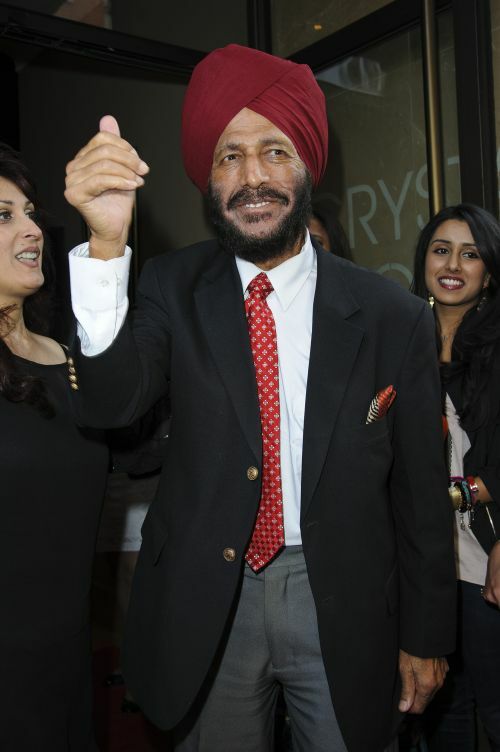 Speaking from Chandigarh, the 'Flying Sikh' said the late hockey wizard should have been the first sportsperson from India to be conferred the award. "I am delighted to hear the news that late Major Dhyan Chand has been nominated for the Bharat Ratna by the Home Ministry," Milkha said. "Major Dhyan Chand was one of the finest sportsmen from India and brought several laurels to our country in hockey. I always believed that he should perhaps have been the first to receive the Bharat Ratna," added the three-time former Olympian, best remembered for his fourth-place finish in the 400 metres final at the 1960 Olympics in Rome. 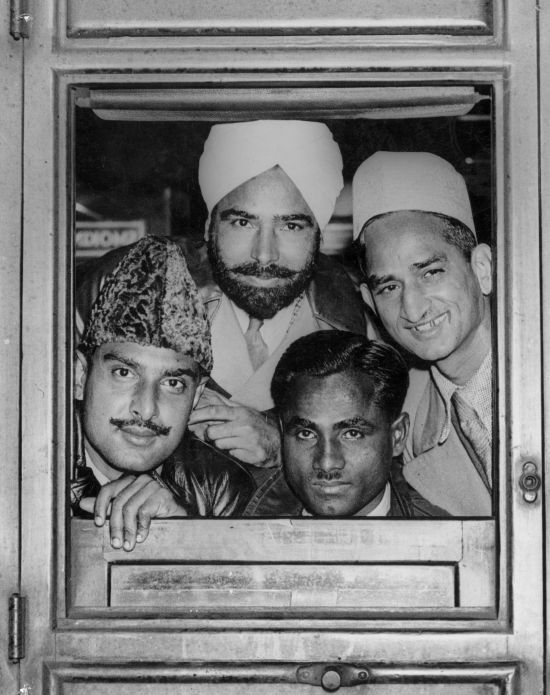 Milkha congratulated the government for recommending Dhyan Chand for the honour. "Sportsmen make the finest ambassadors for the country and I'm sure the entire nation will be happy to hear about this decision to nominate him for the award. "In fact, I would like to add that keeping in mind the same line of thinking, there's no reason why top sportsmen should not be nominated as ambassadors, governors, as members of the Rajya Sabha or as members of Parliament, because they dedicate their lives for the nation. They are intelligent, disciplined, work hard," said Milkha. "I would like to congratulate the Modi government for this and hope to see much more initiatives" he added. Coach Carlo Ancelotti said Real were looking sharp in training despite some late arrivals from the showpiece tournament in Brazil where Rodriguez shone for Colombia before securing a move from Monaco for an estimated fee of 80 million euro ($107 million). "The quality of the squad has been improved by James Rodriguez," Ancelotti told reporters on the eve of the Super Cup. "Toni Kroos is in good shape. I think he and James Rodriguez will both play tomorrow. Toni Kroos will help us a lot, strategically and especially with his positioning on the pitch." As well as the German World Cup winner, Ancelotti said Iker Casillas would start because the match is the Champions League winners against the Europa League victors and the keeper played in last term's European campaign as Real sealed a record 10th title triumph. The Spain goalkeeper, whose shaky form last term culminated in a nightmare World Cup, was kept out by Diego Lopez in La Liga last season and the situation has been further complicated by the signing of Costa Rica stopper Keylor Navas. "I don't know or I do know but I'm not going to say," smirked wily Italian Ancelotti when he was asked who his first choice keeper would be this season. Cristiano Ronaldo is fit to play after finally overcoming a series of niggles and another player starting on Tuesday is Gareth Bale as he returns to his Cardiff birthplace. "I don't feel the pressure of being back home. It's just another game we must win," said winger Bale. Amid the hysteria over Real's reams of attacking talent, which pundits have dubbed a second wave of 'Galacticos', Sevilla coach Unai Emery reminded everyone that it takes two sides to play a game. "We know the potential of Real Madrid but the part that depends on us is ours," he said. Double Olympic gold medallist Mo Farah returns to action at this week's European athletics championships where the high jump showdown between world champion Bohdan Bondarenko of Ukraine and Olympic champion Ivan Ukhov of Russia should also dominate. 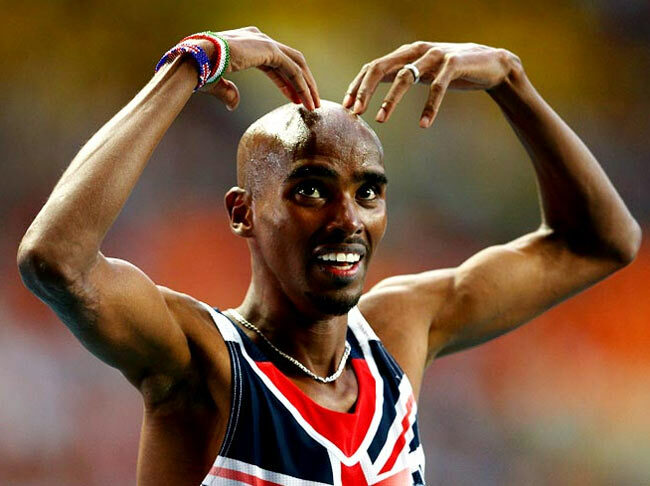 Farah is expected to run in Wednesday's 10,000 metres and the 5,000 metres on Sunday having missed Glasgow's recent Commonwealth Games with abdominal pains which caused him to be airlifted to hospital while training in the United States. "They thought something was going on with my heart -- it was just crazy," he was quoted as saying by the UK's Guardian newspaper. "I was in hospital for four days and it was scary but these things happen and so I missed quite a lot of running." He could take his tally to six individual European medals in Zurich. The 31-year-old, Europe's only reigning Olympic champion in the men's track events, won the 5,000 and 10,000 gold in Barcelona in 2010, the 5,000 gold in Helsinki two years ago and the 5,000 silver in Gothenburg in 2006. Javier Sotomayor's 21-year-old world record of 2.45 metres in the high jump could be under threat on Friday, with Bondarenko, Ukhov and world indoor bronze medallist Andriy Protsenko all having gone over 2.40 this year. Bondarenko equalled the European record of 2.42 in New York in June while Ukhov follows closely behind with 2.41 he jumped in Doha one month previously. The other main hope for a world record is in the men’s pole vault where Olympic champion Renaud Lavillenie will attempt to break his own record of 6.16 metres that the Frenchmen set earlier this year. The limitations of European athletics have raised questions about the decision to hold the event every two years. This year's event at Zurich’s Letzigrund stadium should at least be an improvement on Helsinki 2012 which was treated by most athletes as little more than a warm-up for the Olympic Games in London. Manchester United have loaned Chile striker Angelo Henriquez to Dinamo Zagreb who have the option of making the move permanent at the end of the season, the Croatian champions said on their website. "I am delighted to have joined Dinamo and I really want to make an impact here, primarily to help the club qualify for the Europa League group stage," Henriquez, who scored two goals in three international appearances, said on Monday. "This is the right club for me at this stage of my career," added the 20-year old, who spent the last two seasons on loan at Wigan Athletic and Spanish side Zaragoza after joining United from Universidad de Chile in 2012. Henriquez caught United’s attention after scoring 21 goals in 17 games for Chile’s Under-21 side, having also won two league titles and the Copa Sudamericana with Universidad, but has never got a look-in at Old Trafford. 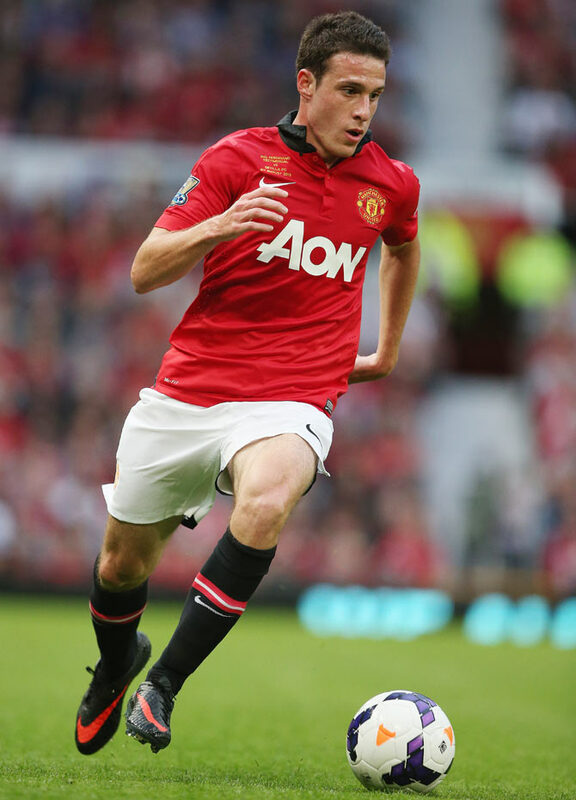 He was an unused substitute in Wigan’s shock 1-0 win over Manchester City in the 2013 FA Cup final. Dinamo meet Romanian side Petrolul Ploiesti in the Europa League’s two-legged playoff round. Chile defender Gary Medel took part in his first training session with Inter Milan on Monday after completing his move from English Championship side Cardiff City. "I'm finally at Inter and I'm thrilled to be part of this great club," he told Inter's television channel. Asked if it is true that he is nicknamed the Pitbull, Medel replied: "Yes, it is ... I bite." Italian media said the transfer was finalised on Saturday but it was not confirmed by Inter at the time. Medel, who can feature in the centre of the defence or midfield, was one of the outstanding players as Chile reached the last 16 of the 2014 World Cup, beating title holders Spain on the way. The 27-year-old, famous for his extraordinary will to win, spent one year at Cardiff having previously played for Universidad Catolica, Boca Juniors and Sevilla. Raised in one of Santiago's toughest neighbourhoods, Medel has recently put behind him a poor disciplinary record which saw him receive 13 red cards and become involved in a series of controversial incidents. In September 2007 he was given a six-match ban for spitting at an opponent during a Chilean league match against Deportes Concepcion and one month after that he was arrested for drink-driving. In January 2009 Medel was injured when his car crashed on the highway from Vina del Mar to Santiago and he was thrown out of the vehicle. Recalling the incident later, he said that as he sat slumped in the wreckage of his vehicle he could not feel his legs and feared he was paralised from the waist down. A month later a teenage girl fell to her death from the ninth-floor balcony of his apartment. An investigation cleared him of wrongdoing but the incident cast a shadow over the player. 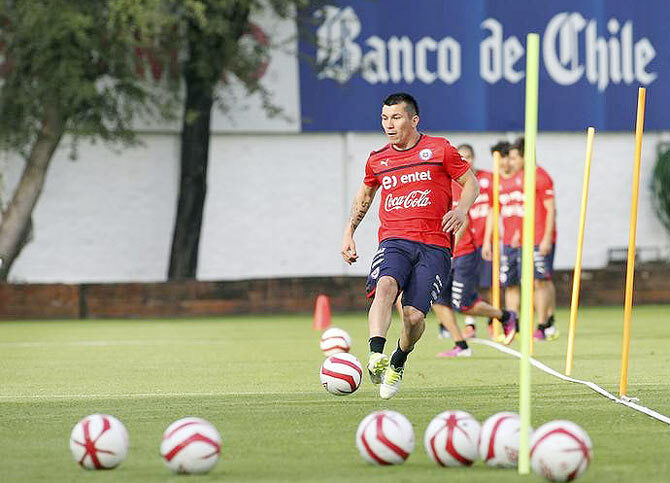 Medel once said that the sport was his lifeline. "For my own sake it's a good job that I chose football," he explained. "If not perhaps I'd be stealing or drug trafficking." Germany's top two divisions will use the referee's vanishing spray to mark out free kicks from this season, the German football league (DFL) said on Monday. The spray was used at the 2014 World Cup in Brazil to ensure defensive walls did not encroach more than 10 yards (9.15 metres) and was seen as a success. "After the experiences in Brazil the league board has decided to introduce the vanishing spray for the Bundesliga and the 2. Bundesliga as early as possible," the DFL said following a meeting on Monday. "The German football association (DFB) will solve any pending details so as to fix the specific date for its introduction. It is envisaged that the spray will be first used at the Bundesliga start (August 22) in both leagues." The spray, which disappears in less than a minute, will also be used in England's Premier League this season as well as in France and the continent's Champions League competition. 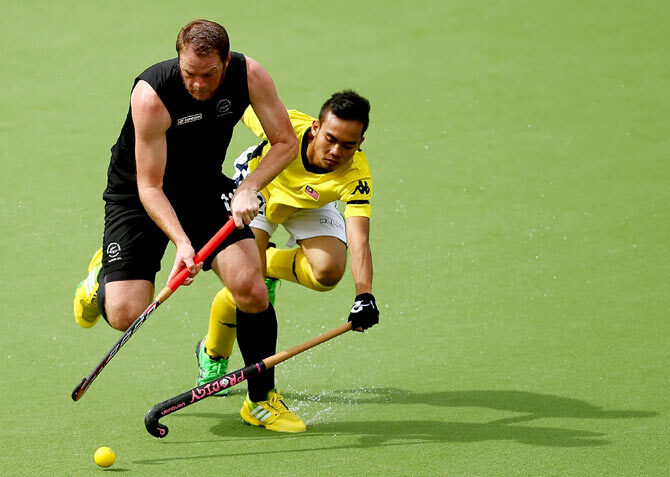 Malaysian Hockey president Sultan Ahmad Shah has threatened to pull the men's national team from next month's Asian Games because of a lack of discipline as the fallout from a poor Commonwealth Games performance continues. The Malaysians, runners up at the last Asian Games, were humbled by lowly Trinidad and Tobago at last month's Commonwealth Games in Scotland as they exited in the group stage. That followed a last place finish at the 12-team World Cup in June with head coach K. Dharmaraj being replaced by A. Arulselvaraj on Monday following a council meeting into the showings. Ahmad Shah said a report into the two tournament failings had also highlighted issues with player discipline and warned the squad he would not put up with any repeats. "I am willing to pull the team out for the Games if there are no improvements," he was quoted as saying by Malaysian media. "If the players are not able to give 100 percent to the team they should say so and leave. There is no point in sending a team to the Asiad if the players are not disciplined enough to work and give their best." Arulselvaraj said he would tackle the issues raised but warned there was not much time before the Asian Games, which will be held in Incheon, South Korea from Sept. 19-Oct. 4. "One of the things that I will do is to look at the players in the squad. Then, I will work on the areas that have been identified as our weaknesses," he said. "I am familiar with the players as I have worked with them before. But with a short period of time left, it will be an uphill task for all of us." Resilient Cook whips up winning recipe! EPL 2014: Who's in, Who's out!